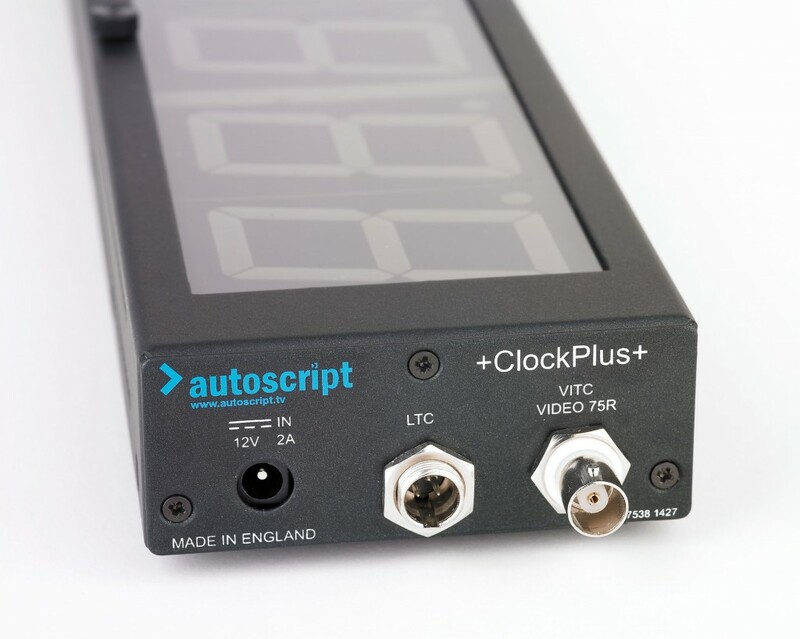 The ClockPlus is an LED SMPTE/EBU timecode display which has the added feature of changing colour from green to red when a suitable Tally input is applied. 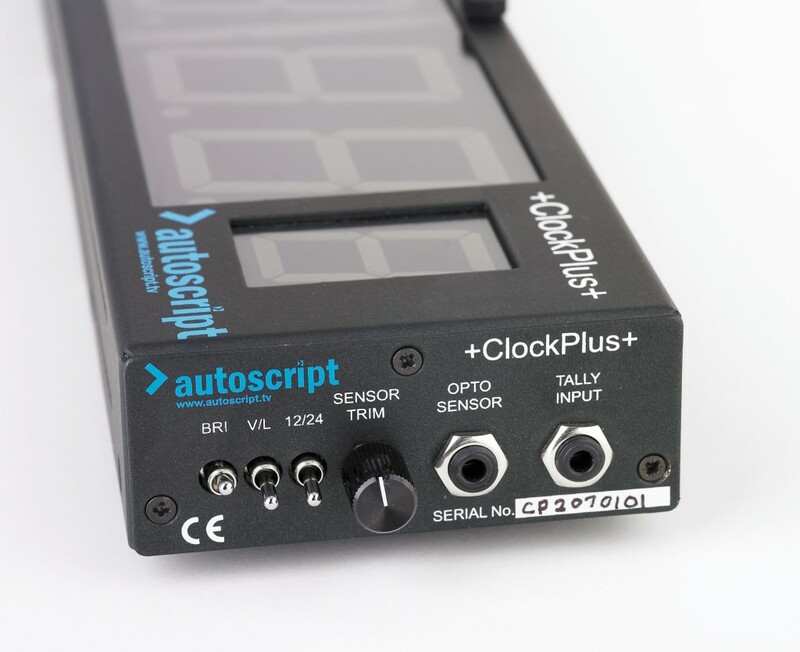 When a timecode source is connected, the clock will instantly set itself to the input time. If the timecode source is removed the display will continue to update the time under control of an internal crystal oscillator. LED Six Digit On Air Time or Countdown display. Interfaces to Studio Time code, combined with Tally Light function. Tally's green to red. Includes 2 x Mini Jack cables and hardware to front mount to 12" - 19" prompters. ClockPlus DC Power Socket: Connector type: 2.1 mm DC socket. ClockPlus Opto Sensor Socket: Connector type: 3.5 mm mono jack socket.